Are you looking for the perfect accessory to compliment your little ones Dr. Seuss themed outfit? 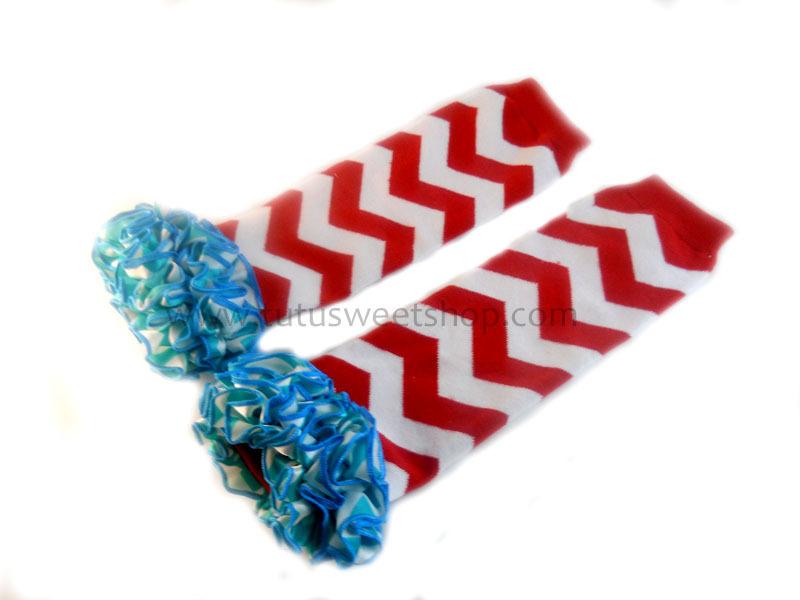 If so, our adorable red and blue chevron ruffled legwarmers are perfect! Designed with layers of chevron satin ruffles on red and white chevron cotton legarmers. Pair them with your little ones favorite skirt, tutu, shorts or put them on your little bundle of joy to keep their little legs warm. Perfect for Dr. Seuss party themes. This item is custom made in the US. Please allow up to 3 days for your order to be processed, plus shipping time.